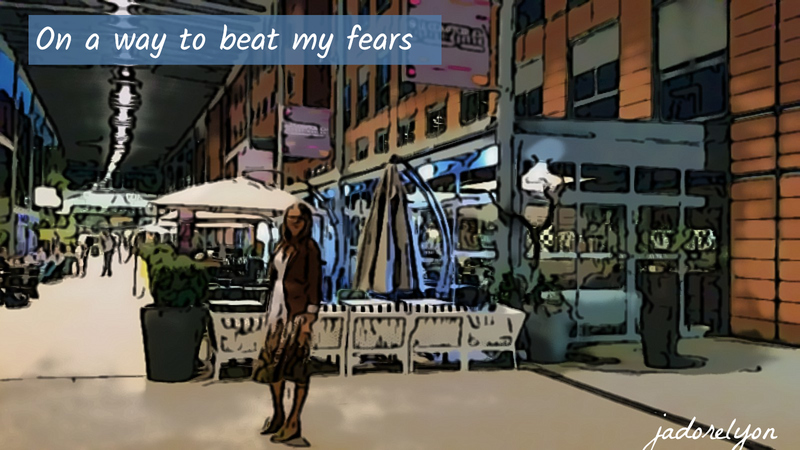 How to beat our fears? Eating in the complete darkness experience in Lyon! I think that we can actually combine those two clever attitudes toward fears and find our own way…we should try things to change what we can in our own peace because there is nothing worse than comparing our lives to others and expect the perfectionism in everything we do. Anyways I could talk about it a lot yet I want to tell you about my interesting experience in Lyon to beat the fear, to learn something new about ourselves and to do something completely unusual in Lyon! Are you ready…let me tell you about Table en braille – eating in the dark experience. 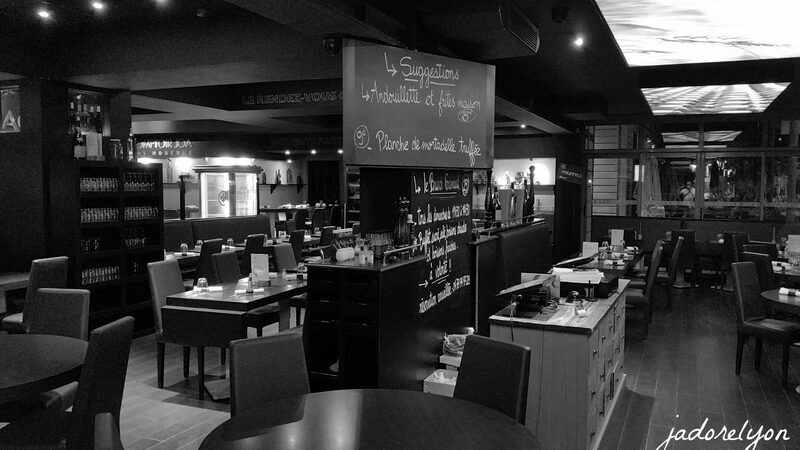 Table en braille is an concept offered by Comptoir JOA restaurant located in the Cite Internationale in Lyon. It’s a nice restaurant which offers food, drinks and nice atmosphere and you would not expect that it has a hidden big room whole in dark. You are being guided and served by the blind waiter. Abdel was an amazing waiter who served us whole evening making us feel comfortably and less scared. I had a lot of confidence in him and he didn’t break it. You are not alone. There are other people with you, allowed for a seance. It’s nice to share the experience. Then you take few deep breaths and you think that there are people who live like this every day and they manage and so you can at least try… what’s the worse can happen? Once you became calmer and opened your mind for experiencing new reality. 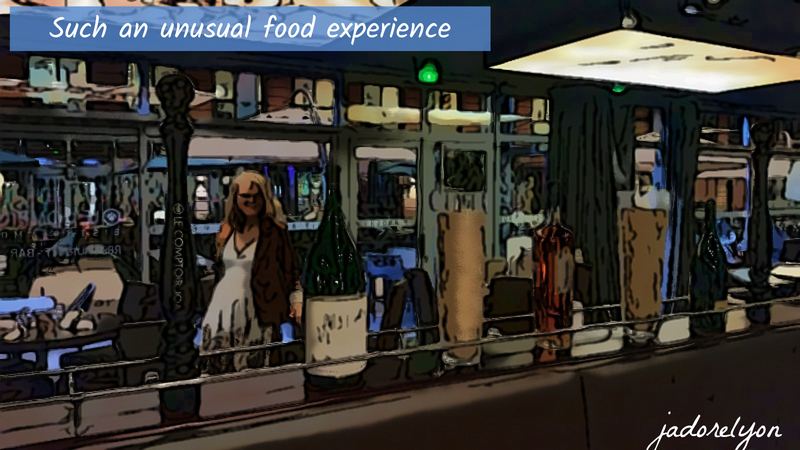 You can start enjoying it… because the food experience is also interesting. Not knowing what you are going to eat, in which portion, in which order you discover the tastes in your mouth is incredible and funny in many moments. Lastly, the location was good and all was smoothly organised. Amazing experience to feel how blind people live eating in complete darkness ! The waiter was very welcoming and caring. Very hard to guess what you eat.